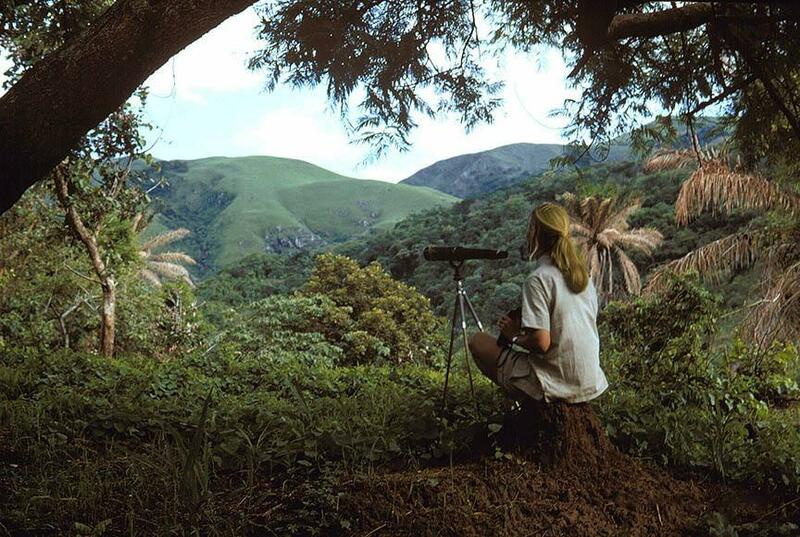 When Jane Goodall was growing up, Africa was only an image in her head from Tarzan books, pictures, and drawings of the forest that she longed to see. Today, anyone can feel as though they are actually in Gombe with Google Street View. Follow this link to click your way through the forest, discover the Gombe Stream Research Center, and even catch a glimpse of the most famous chimpanzees in the world. We’ve compiled a list of the places that make Gombe famous, some of which are long gone, and some that you can see today on Google Street View. But don’t forget – to make a difference, Jane had to step outside her books and pictures and travel to the place that she had dreamed about. 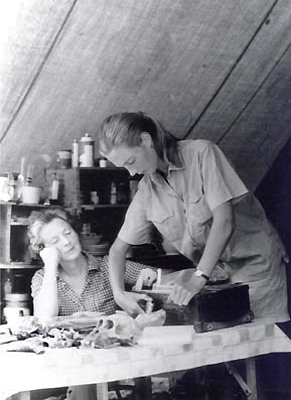 During the early days at Gombe, Jane and her mother, Vanne, occupied a single tent while Jane searched for something to make her stay worthwhile. Imagine how cramped the two must have been – and without any privacy! David Greybeard and his friends used to steal things from Jane’s camp all the time, so it must have been very easy to enter. A living situation like this wasn’t without its dangers too. One day, after Vanne had gone back to England and Jane was off observing the chimps, a group of men from the nearby Mwamgongo village came looking for them. They were interested in cultivating the land that had been set aside for Jane’s research, and weren’t happy that she was there. Although they weren’t hurt, the men destroyed the forest area around the camp, and left the two worried about their safety in Gombe. Before the chimpanzees had accepted Jane, it was difficult for her to observe them without scaring them away. Jane realized that she needed to find a place high enough to observe the chimpanzees from afar. This spot, located high in the hills of Gombe, became her ideal location, which she called “The Peak”. It was also a great place to look for the chimps when she had lost track of them. However, once the chimpanzees had accepted Jane, she was able to observe them at a closer range. She still used this spot to think and get a larger perspective on the movements on the chimps. You can see this spot on Google Street View today. Jane moved into a more permanent home after a few years of tents and campsites. It was a far stretch from the tent she occupied with her mother, and even more so from the house she grew up in in England. She still stays in this permanent house when she comes to Gombe. She has a great view of Lake Tanganyika. Make sure to check it out; it looks exactly like a primatologist’s house should! You can also navigate through the forests to find the chimps that are being studied by the Gombe Stream Research Center. The G-family (Gremlin, Glitter, Gizmo, Google, etc.) can be found socializing, eating, crossing streams, and even using the tools that made them famous. Make sure to explore the other areas for the chimps as well – they are never far away!